4" Pinewood Derby Trophies. 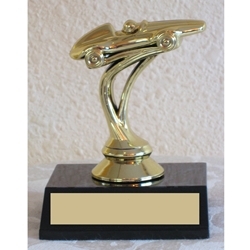 This trophy features an updated Pinewood Derby Car mounted on your choice of a white or black synthetic base. These Pinewood Derby Awards fit with any item series as a value priced award.